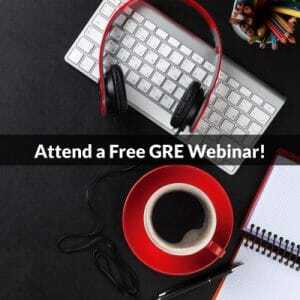 According to many recent student reports, some of the most challenging GRE Quant problems have involved Data Interpretation. Essentially, now that the GRE permits use of an on-screen calculation, ETS is designing some questions to require effective, fast calculator use to determine the correct answers in the time allotted. Much existing GRE preparation material (either released by ETS or designed by third parties) has not entirely caught up with this new norm. 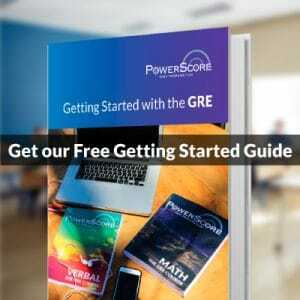 In fact, having worked with the GRE extensively before the latest redesign, I had to force myself to use the calculator since I was accustomed to doing arithmetic in my head or by hand. Several weeks ago, I wrote a post about the importance of the ten-key numeric keypad for quick data entry. Now I’d like to follow that up with a four question set to challenge you to use your on-screen calculator and data interpretation skills effectively. The top left chart gives two data points, “Annual Total Days Spent on Recreation,” Hunting and Fishing. Numbers are given in millions. Top right is “Total Annual Expenditures on Recreation” with three data points: Hunting, Fishing, and Unspecified. Dollar amounts are given in billions. The bottom is a Venn Diagram with overlapping groups of anglers (people who fish) and hunters. The actual numbers are given as 33.1 million anglers and 13.7 million hunters. There is a total of 37.4 million people who either hunt or fish. Each time you attempt a charts or graphs problem, you must determine which diagrams are applicable. Let’s look at the first problem. Look familiar? We discussed a similar situation not long ago on another blog post. In this case, let’s determine which charts or graphs to use and RECORD WHAT YOU KNOW™. These numbers don’t seem to add up! 33.1 + 13.7 ≠ 37.4. What are we missing? The people who both hunt and fish. Maybe we don’t remember exactly what to do in a situation like this. No problem! Just start doing what you can with the numbers. Keep your momentum moving forward. Maybe 33.1 + 13.7 ≠ 37.4 so what do they add up to? 46.8 million (don’t forget the units). Clearly we can’t have a bigger total than the total, but maybe we can just see if there’s some way to combine numbers to get rid of double counting. Which two numbers might be helpful to combine. We might not be sure, but maybe we can use this 46.8 million sum with the other total, 37.4 million. What should we do? Should we add, subtract, multiply, divide? I’d go with subtraction. Do 37.4 – 46.8 or 46.8 – 37.4. We get ±9.4. This seems to go along with answer choice (B). Should we go with that? Yes! Why not. We’ve done some work. Our choices were reasonable and logical. (B) is in fact the correct answer. Occasionally when you’re taking the GRE, it will be necessary to take these “leaps of faith,” but they are actually just leaps of faith in yourself, belief in yourself that you’ve exercised good reasoning skills and come up with a choice that is likely the correct answer. Will you get burned sometimes? Sure. But overall you will earn more points and your score will be higher than if you ponder every question looking for the “proper” solution. Our reasoning skills led us to the same solution. Well done! Let’s look at the next problem. What do the square boxes mean? They always indicate the possibility of multiple correct answers; sometimes the question will indicate that you must choose exactly two/three/four correct answers; other times, as in this case, you are instructed to select ALL that apply. There will always be at least one correct answers, but it is possible for all the answer choices to be correct. You get credit for a correct answer if and only if you select all and only the correct answers. Which charts are we using here? We see that we’re talking about “expenditures,” so that means we’re using the top right chart. We’re then talking about “average expenditure per hunter/angler,” which means we’d need more information from another chart. Remember, to get the average you take the total sum and divide by the number of items. For “expenditure per hunter/angler,” the total sum (dividend) is the expenditure. What’s the number of items? “Per hunter/angler” tells us that the divisor is the number of hunters or anglers. Let’s take a moment to RECORD WHAT YOU KNOW™. This way we have a second to pause and assess what information we have and what to do with it. Sometimes problems can seem overwhelming, but when you put the information in front of you, you can at least determine one thing you can do to get you closer to the solution. What do we know? There are a couple things to note here. First, we must approximate. Charts and graphs don’t always give us exact values, so we must ballpark out estimates. We should aim to be ±3% from the actual amount. For instance, we’d probably be okay with $33-34 billion for the Hunting Expenditure, but $32 billion or $35 billion would probably be pushing it. Second, we must keep track of units. Here, we’re looking at billions and millions. Whether we do anything with that right now is optional, but we must remember this distinction. Now that we have our information on our scratch paper, we should SPLIT THE QUESTION INTO PARTS™ to attempt the question incrementally. Keep your momentum going by doing whatever you can with the information in front of you. I’m going to deal with my units right now. Notice that I’m using the calculator to remain roughly precise in my calculations, but I’m not losing any sleep over dropping 0.255474452554745 from my number, because, really, that’s not going to make any difference. Let’s do the same calculation per angler. However, what’s this talk of “range of differences?” This must have to do with the Unspecified Expenditures. The question asks us to assign the Unspecified Expenditures to either Hunting or Fishing. Let’s try both. Now the same calculations for anglers. Thus, the range of possible values includes all numbers between $739 and $2234. Answers (A), (B), (C), (D), and (E) are correct. Another question about averages, in this case the arithmetic mean. Naturally, data interpretation problems involving charts and graphs frequently test students’ grasp of statistical “averages,” namely the mean, median, and mode. As we observed on the previous problem, the related concept of range also occurs frequently. In this case, the default average asked for is the arithmetic mean, again the sum of the items in a set divided by the total number of items in the set. Don’t forget to RECORD WHAT YOU KNOW™. We’re asked about days spent hunting and fishing, so we’re using the top two graphs here. Let’s get the data down onto our scratch paper. Compared to the previous question, this one might appear straightforward. It is! As such, it is a reminder that you are not required to do the questions in order. In fact, you should not, especially on a multi-question problem set such as this. Knock the easier ones out first. Then move on to the more challenging questions. Since we’re looking for average spent on days fishing and hunting, let’s do those calculations without forgetting to convert our units. Here we’ve hit $44 on the nose, so answer choice (D) is correct. The final problem, like the first problem, is a one-chart affair, but here we rely on some additional “common” knowledge to solve the problem. Begin again by getting the relevant data and any other important facts onto our scratch paper. Average life span is 72 years. Time to SPLIT THE QUESTION INTO PARTS™. our scratch paper. Notice again that calculator use is essential. Use your numeric keypad to speed things up! Our result is closest to 31,400, which means (E) is the credited response. Do not underestimate or “blow off” data interpretation. Practice, practice, practice. Use your scratch paper effectively. Get your data in front of you. Stay positive and confident. You are equipped with the skills and knowledge to solve even the most difficult GRE problem.